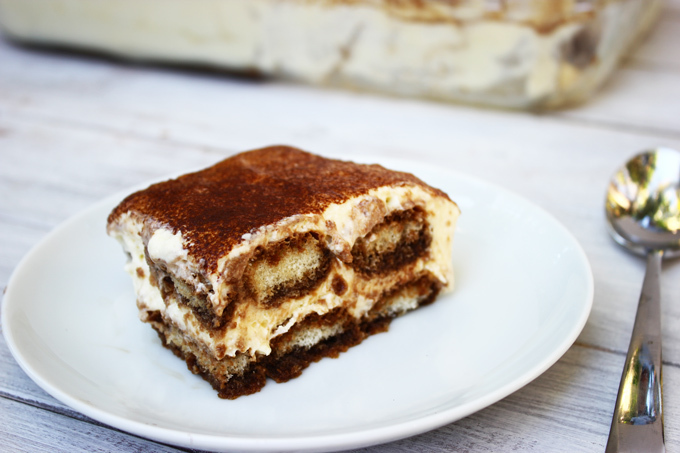 This week we decided to stick to our Italian roots and give you one of our favorite dessert recipes. 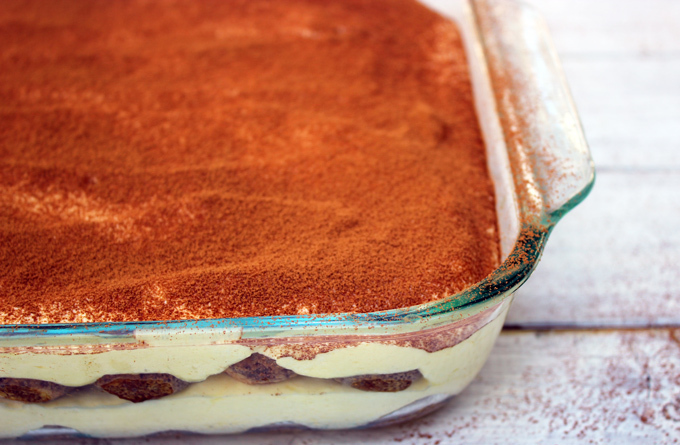 Family vacations to Italy always leave us craving more, so after countless unrewarding searches for Tiramisu in Miami we decided to make our very own. Literally translated to pick-me-up, this dessert is very quick and easy to make. It can be stored in either the fridge or the freezer, in case you’re in the mood for an even more refreshing, ice cream cake dessert. 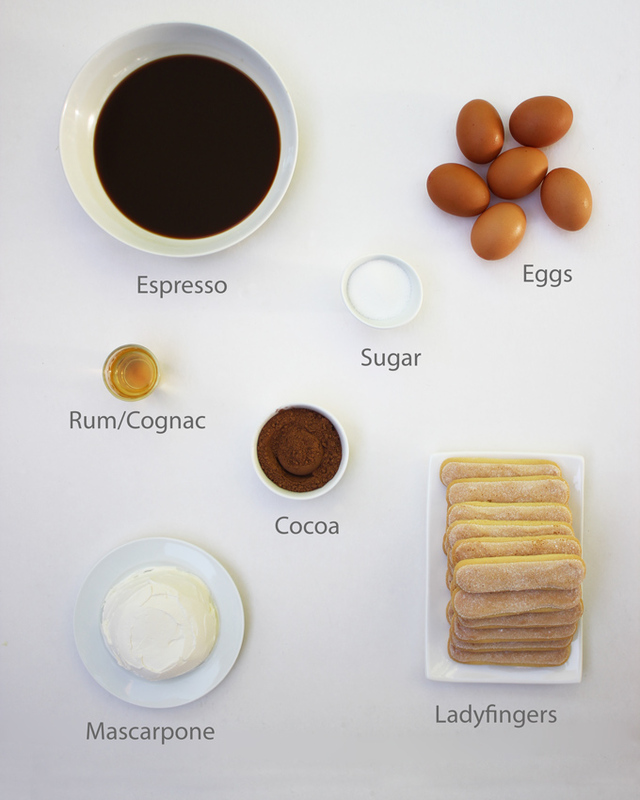 In a shallow bowl mix the espresso, 1 shot of cognac/brandy or rum, and 1 tbsp of cocoa powder. In one mixing bowl, beat the egg yolks and sugar until they turn a creamy light yellow color. Add the mascarpone and 1 shot of cognac/brandy/rum and mix well. In a second bowl beat egg whites until fluffy and fold whites into egg yolk/mascarpone mixture. Dip a lady finger into the espresso mix (sugar side up) and pull it out after a second or two. Lay each lady finger in the bottom of the pan sugar side down. Continue this process until you build a layer of lady fingers across the bottom of the pan. Spoon a layer of the filling mixture above the lady finger layer. Use half the mixture. 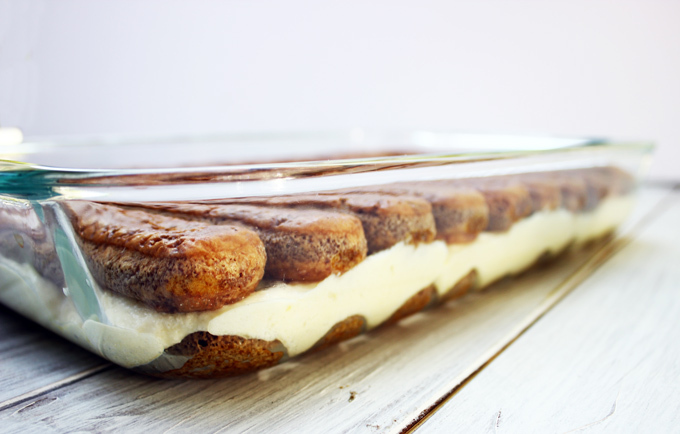 Create another layer of lady fingers. Spoon the second half of the filling mixture on top. Sift over top the rest of the cocoa powder.